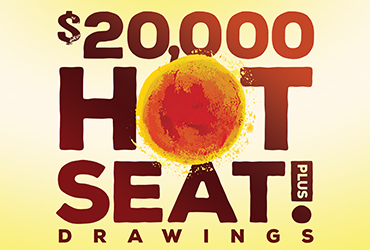 Rampart Casino hosts $20,000 Hot Seat Plus Drawings from 2 p.m. to 8 p.m. on Thursdays in July. A random winner is chosen every 15 minutes for slot players at their machine to reveal their prize. Slot players must have their rewards card inserted in the machine to be eligible for the bonus. Random table game players will be selected in the Pit on the 45 of each hour.